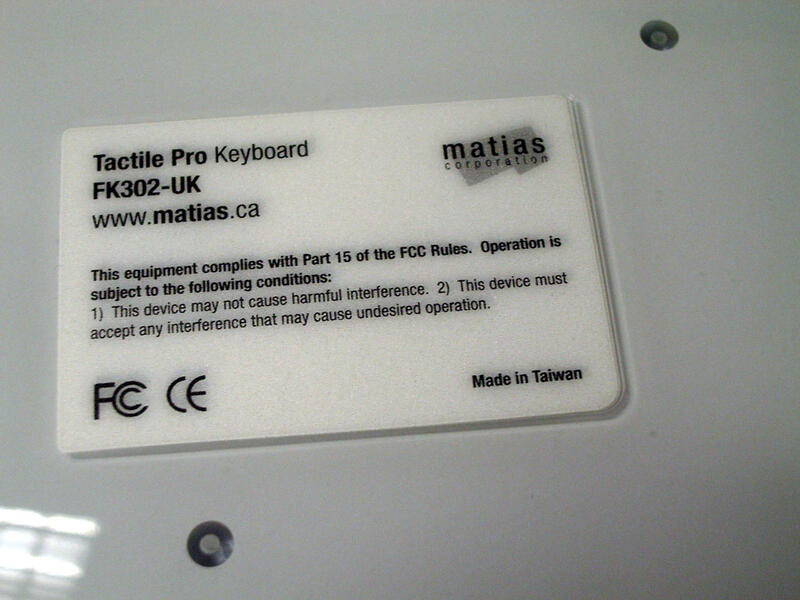 This is a review of the Matias Tactile Pro 3 mechanical keyboard for the Macintosh, ordered through the UK-based European keyboard specialist The Keyboard Company. Like the Apple Extended Keyboard and Extended Keyboard II before it, this full size, full travel keyboard produces audible key clicks when each key is depressed, and provides a crisp, positive response to your fingers. A three-port USB hub is integrated into the case. The Tactile Pro 3 is one of only a small number of mechanical keyboards dedicated to the Macintosh, including the DSI Modular Mac (Cherry MX, USB), MacAlly MK-96 (ALPS, ADB), and Apple’s own Extended Keyboard and Extended Keyboard II (ALPS, ADB). Macintosh and Windows keyboards have been interchangeable since USB connectivity was introduced, but the layouts and behaviour are different. For example, Apple’s Wired Aluminium keyboard does not support print screen when connected to a PC, and command and option or Windows and alt will be swapped with any keyboard moved from one system to the other. This keyboard will be of obvious interest to Mac users tired of using Windows-layout mechanical keyboards on their computers. 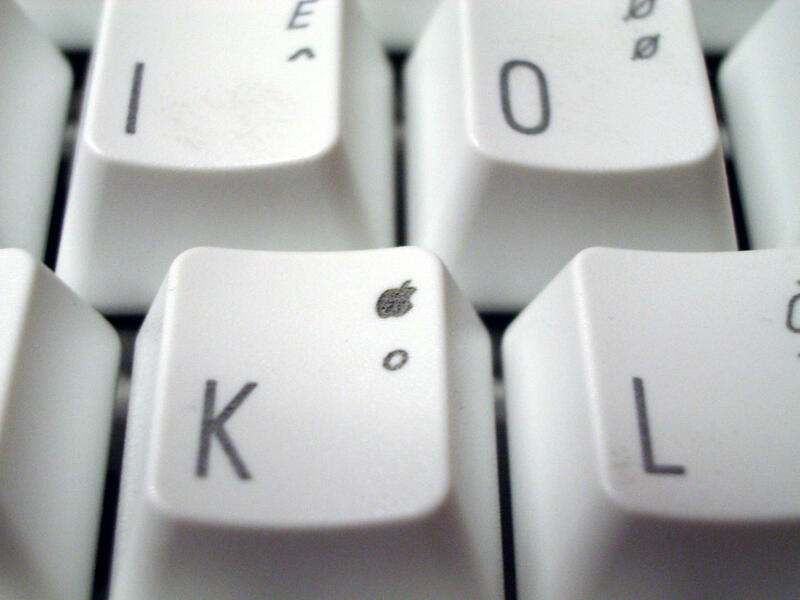 In what may be a unique feature for the Macintosh, this keyboard also marks every key with the symbol it generates when option and shift+option are held; comprehensive symbol and accent entry is a very long standing a feature of Mac OS, and an area where Windows is woefully lacking. For this review, the UK layout keyboard was connected to a Dell OptiPlex 330 running Microsoft Windows XP, and not a Macintosh; the keyboard was purchased with the intention of testing the current generation Fukka switches, which are not presently available in any western layout PC keyboard. Perversely, this review was typed on a Diatec FILCO Majestouch FKBN105MC/UKB. The obvious first impression of this keyboard is simply “white”. It’s dazzling. 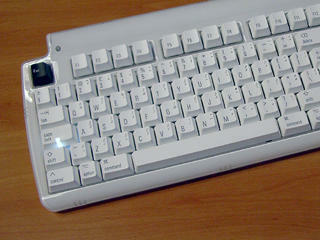 The case and keycaps are pure, brilliant white, in stark contrast to the deep black of my FILCO Majestouch. The case is a little on the large side; one of my reasons for paying Diatec's premium for the FILCO Majestouch range (over the much lower price of a standard Cherry keyboard) was to get Costar’s ultra compact case. The Majestouch is smaller even than the Dell keyboard I was using up to that point. 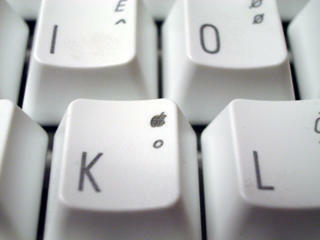 Apple have since gone even slimmer with their aluminium family of keyboards, at a cost of having no feel at all. This keyboard by comparison has a tall and bulky feeling to it that seems outdated with the move to more compact keyboards in past years. Also, the clear plastic look is somewhat dated now, with Apple preferring to use aluminium in their products now. The Tacile Pro 3 looks out of date right from the start. After unboxing it and starting to use it, it took very little time before the keyboard left my hands sore and tired. Since then, I have become accustomed to it, but no matter how much I use it, I still find it to be too stiff. I don’t feel at one with the keyboard, as the sharp force curve of the switches nags my conscious mind. 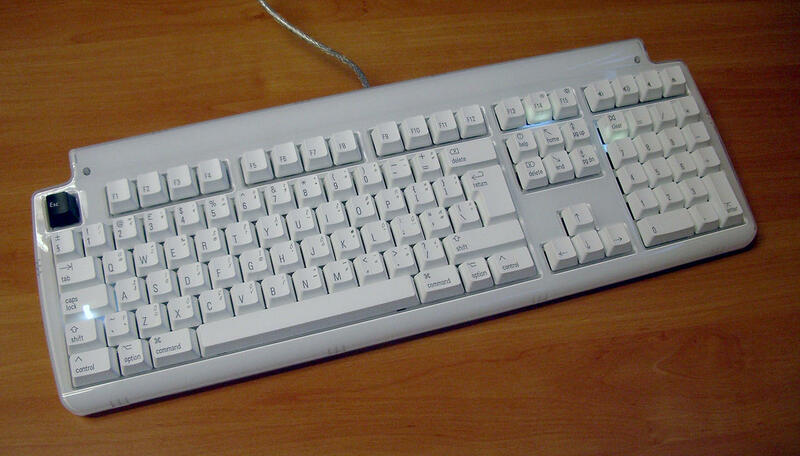 ALPS switches, like rubberdomes, have the tactile point at the top of the stroke, which in ALPS switches tends to make the keyboard too heavy-handed, with a high initial resistance to be overcome. Simplified ALPS Type I (“Fukka”) switches are definitely easier to type on than their dreaded Simplified Alps Type II (“XM”) counterparts, but if you like a switch with a decent amount of resistance as I do, then consider buckling spring. Buckling spring has a long force curve that spreads out the resistance smoothly. The only switch I have encountered that finds a nice balance—a sharp tactile feel and a fair weight—is the complicated blue ALPS in my old Tulip ATK 030244 PC/AT keyboard from a Tulip 286 PC. The blue ALPS switches maintain the strong initial resistance but have a much lighter weight about them, similar to but stiffer than Cherry MX blue. ALPS keyboards are loud. 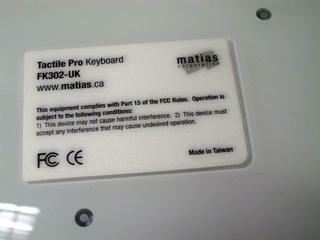 The Tactile Pro 3 here is no exception. Subjectively, it comes across as being nearly twice as loud as a FILCO Majestouch with Cherry MX brown switches (when both are bottomed out), and louder than a Cherry MX blue Majestouch, but not quite as loud as the Tulip ATK 030244, which I presume has plate-mounted switches the same as others. I have not compared it to a buckling spring side by side, but think that would still come out as the loudest of them all. The ATK 030244 has a wonderful deep, rich sound with that is bettered only by a buckling spring keyboard. Its sharp, precise sound could easily be considered superior to the more complex clatter of buckling spring. Sadly, the Tactile Pro 3 does not achieve the same clean sound as other ALPS keyboards including the FILCO Zero range. My FILCO Zero XM has the crispest, driest sound of any mechanical keyboard, but the Tactile Pro 3 is quite the opposite: you’re treated to an excessive level of spring vibration from the switches, that gives it a constant high pitched ringing sound as you type. The switch mounting also gives the strokes a higher pitch sound, and the overall effect is somewhat disturbing. Spring reverberation is to be expected in mechanical keyboards, but it's absent from my Cherry MX blue FILCO and it’s absent from the ATK and FILCO Zero XM ALPS keyboards. I do hear it on my Cherry MX brown FILCO, but it’s not disturbingly loud as it is with the Tactile Pro 3. Placing the keyboard onto carpet does damp this excess vibration nicely though, so it’s probably a flaw in the way the switches are mounted. I did spend a few hours recording a variety of keyboards including Cherry MX blue and brown, the ATK and even a Psion Series 5 (surprisingly nice sound from its miniature non-scissor rubberdomes) under identical conditions, but the mechanicals all came out the same volume, which is definitely not how I perceive them directly, with the ALPS keyboards sounding twice as loud as a brown Cherry FILCO. The keycaps also start out with a rough surface like that of a cat’s tongue but, as with the Unicomp Spacesaver, this surface soon wears smoother and no longer feels strange. That all said, due to the highly sujective nature of computer keyboards, little if anything about a keyboard can be universally considered a point in its favour, or against it. Sound, appearance and key response are all subjective. Therefore, in my summary below I have considered most of my observations to be neutral. The keyboard only has a few objective failures. Excuse the quality of the photographs; I could only take these indoors under artificial lighting and that’s on the edge of what my camera can achieve without a tripod. Integrated USB 2.0 hub — This much-wanted feature is absent from many other mechanical keyboards, most notably the FILCO range from Diatec. While there is not the option of external mains power to the ports, it’s perfectly adequate for connecting devices such as memory sticks and digital cameras. Strong tactile feel — The simplified ALPS switches require a lot of force to press; depending on the strength in your fingers and demand for precise tactile feedback and resistance to stray keystrokes, this can be both good and bad. If you’re accustomed to lighter switches such as brown Cherries, do not be surprised if your fingers tire rapidly. ALPS switches even feel stiff compared to buckling spring, because the “well-oiled” buckling spring force curve spreads the force out throughout the stroke, with the softer tactile point occuring, depending on the key, between two thirds and three quarters of the way down the stroke. ALPS keys place the strong, sharp tactile point at the top of the stroke, requiring every key to be given a very firm push to get it moving. For those with stronger fingers, and who find Cherry MX switches too light, ALPS switches offer the most satisfying tactile response to be found of any keyboard. Incongruous look — The Tactile Pro 3 looks like Matias are still a generation behind with Apple’s product style, as Apple have long since replaced their dazzling white plastic look with that of aluminium and glass, refined with subtlety. The Tactile Pro more closely resembles the full travel previous generation Apple Pro keyboard (with shades of the original iMac’s awful diddy keyboard), which has since been replaced with the aluminium family of exceptionally low profile chiclet scissor keyboards. Both the black and white Pro keyboards were amongst the most unpleasant rubberdomes that I have ever had to use, with the white Pro keyboard combining high mushiness with senselessly cramped key spacing. The Tactile Pro is a worthy replacement for that keyboard. However, Apple have moved on, and the thick, bulky Tactile Pro 3 looks out of place now, looking svelte only next to my ancient Tulip ATK 030244. 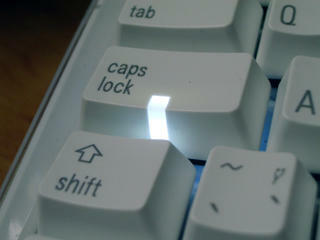 Windowsless lock LEDs — The Macintosh keys of F14 and clear double up for scroll lock and num lock when connected to an IBM-compatible PC and, while the keys contain integrated LEDs, the keycaps have no windows, so the light from the LED shines out through the plastic keycap itself. 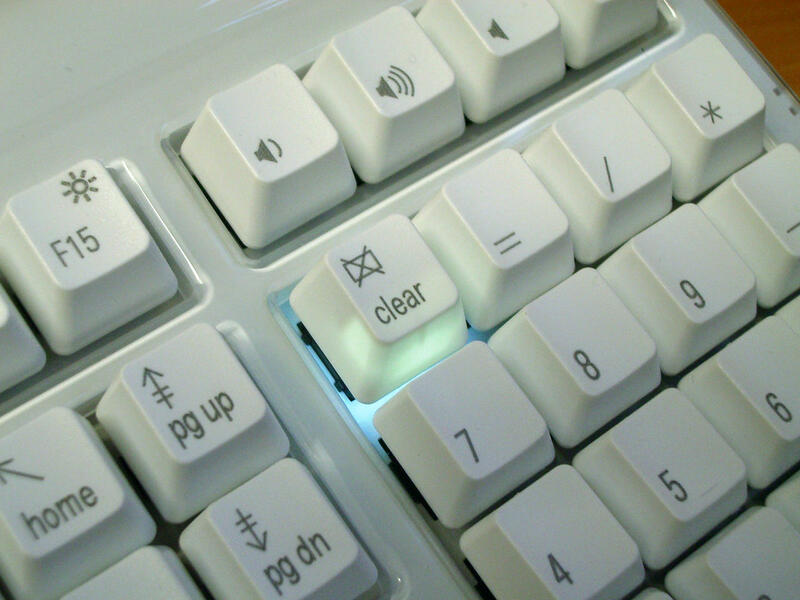 The plastic is not pure in colour, so the typical ugly light bleed from under the keycaps (as found in any backlit keyboard) is pure white, while green light emanates from the key. Being a Macintosh keyboard, however, this is a perfectly reasonable accommodation to PC users. Linear lock keys — ALPS switches do not have room for both LEDs and tactile leaves, so instead of white Fukka clicky switches, the illuminated caps lock key has a green linear XM switch instead. This can be uncomfortable in itself, but it will also upset people who swap caps lock as control; I already know of someone who received three extra LED-free Fukka switches from Matias to replace the linear XM switches for this very reason, although this will void his warranty. Due to the above concession for PC users, F14 and clear also feature LEDs and have the same linear XM switches. No serial number — The label on the underside of the keyboard omits a serial number. Rough keycaps when new — The top surface of the sculpted keycaps has a rough surface somewhat like a cat’s tongue, or worn sandpaper; the keycap texture is similar to, but smoother than the surface texture of Unicomp keycaps. This gives a disconcerting and intrusive sensation, but it soon wears with use. Laser engraved keycaps — Let’s face it, nobody can touch Diatec for the sheer quality of the hard-wearing, intricately detailed key legends of FILCO keyboards. 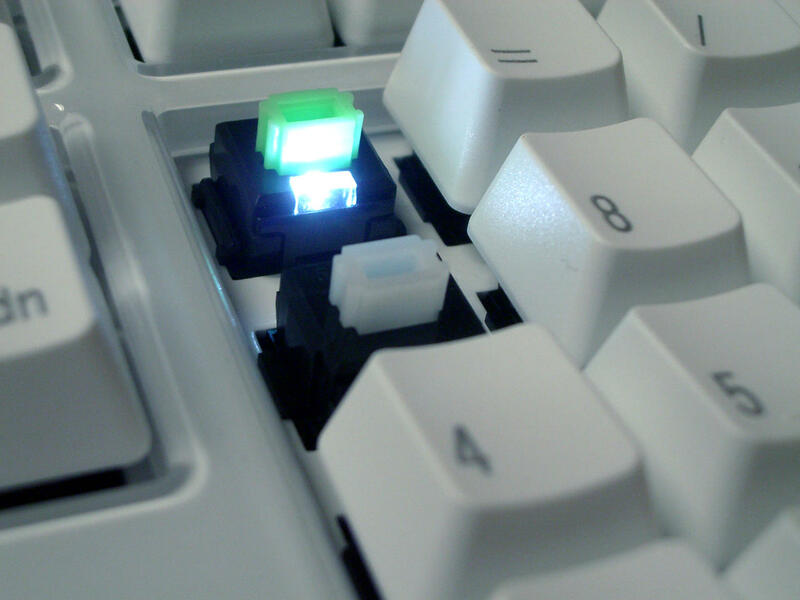 It’s alleged that FILCO keycaps are pad printed, and while this is debated, you cannot argue with the ingenuity of their method. Laser engraving guarantees permanence of the legends, but struggles with solid areas of colour, such as the Apple logo character (shift+option+K), and cannot achieve the high contrast or smoothness of the alternatives. Most keyboard enthusiasts would consider double-shot moulding to be the ultimate form of key legends, but it does come at a cost of lower resolution and the lack of the subtlety that Diatec have mastered. Poor foot design — The Tactile Pro 2 was criticised for weak rear feet that would snap off. The rear feet on the Tactile Pro 3 are very sturdy, but they are nonetheless made of ultra smooth plastic. The rubber bumps at the front are left with the task of stopping the keyboard from sliding around the desk, but in the case of mine, instance, the front left bump is somehow angled wrong and offers no grip, and the keyboard readily swivels about the rear right foot. This is far too elementary a design aspect to get wrong. Another review of this keyboard likewise criticises its inability to remain put on a desk. Heavy ringing noise — All mechanical keyboards will have a degree of ringing caused simply by the presence of coil springs under each key. However, the Tactile Pro 3 suffers from this far more than other keyboards, which threatens to drown out the sound of the key clicks. In YouTube videos you can hear this, and in person it is significantly worse on a hard surface. So far as I can tell, this is a problem unique to the way that the switches are mounted on this keyboard, not to the Fukka switches, as YouTube videos indicate that FILCO Zero keyboards with the same Fukka switches are not affected. Defective Windows “driver” — The Windows “driver” is nothing more than a compiled AutoHotkey script, and a defective one at that1. It leaves the generic AutoHotkey icon in the tray, and, under Windows XP at least, causes the task switcher window to stick open after you have switched program with alt+tab. It runs at too high a level to function through any remote desktop tool. Being a Macintosh keyboard, I wouldn’t normally complain about poor Windows support, but Matias themselves claim “Support for PC users” (by “PC” they mean “32-bit Windows” (and presumably 64-bit), conveniently forgetting that IBM-compatible hardware also supports BSD, Linux and other operating systems) and for its $149.95 USD price (as of April 2011), I would have expected maybe a microswitch as found with the HHKB. I cannot deny that this is a decent keyboard. The build quality is solid, it has the USB hub that so many people demand, and the keys have a very sharp, positive response. It’s noisy, but that is to be expected from ALPS switches. For my tastes it is too stiff, and I prefer the lighter feel of Cherry MX blue, as do a great many people as it appears to be the most popular mechanical switch sold today. Nonetheless, this keyboard is no complicated blue ALPS, and it remains my hope that some day, someone will introduce a keyboard that comes much closer in terms of the soft, smooth feel and deep bass sound of the blue ALPS switch, and while they are at it, puts it in a black case with a British Windows layout. For anyone reading this who is not familiar with mechanical keyboards (and for whom none of the review makes any sense whatsoever), I have included this brief explanation. 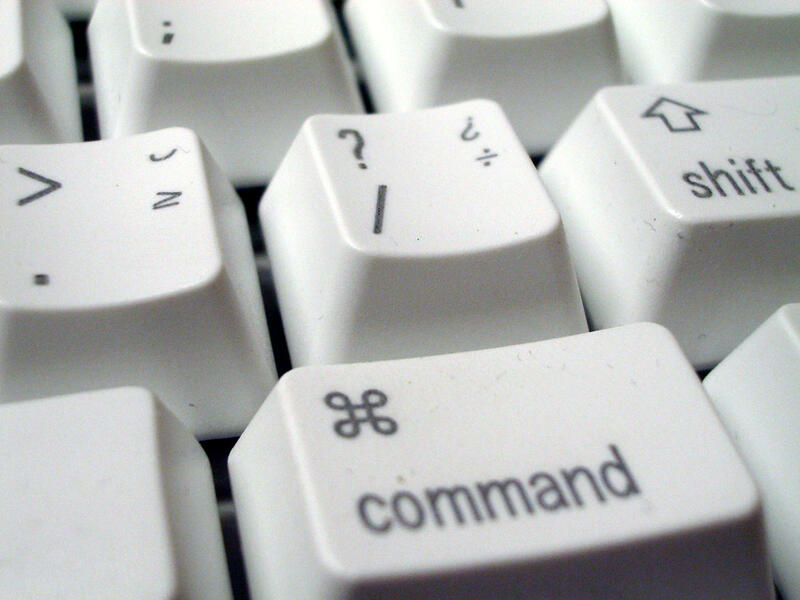 Modern so-called rubberdome keyboards use a small dome of rubber under each key to provide the spring and electrical switch. Under pressure from your finger, the dome collapses and actuates the switch. While soft on your fingers and quiet, many people find the “mushy” feel of these keyboards to be undesirable. Rubberdome keyboards also age as the rubber degrades, requiring increasing force as the keys gradually become unresponsive. Notwithstanding keyboards based on Topre’s capacitive rubberdomes (the Realforce series and the Happy Hacking Keyboard) and specialist hardware, the remainder of keyboards on the market are mechanical. Mechanical keyboards use a variety of switch mechanisms under the keys, all of these having a regular coil spring in common, and frequently a metal switch contact as well. In addition to the electrical contact, many mechanical keyswitches also generate a click sound to indicate that the key has actuated; most also provide a tactile sensation at the same time, allowing you to both hear and feel when a keystroke registers. (Unlike rubberdome keyboards, mechanical switches register the keystroke before the key is fully depressed.) The different switch mechanisms account for the differing sound and feel found across the wide variety of mechanical keyboards available today. The end result is always the same though: a much crisper, sharper feel than standard rubberdome keyboards. Mad props to AutoHotkey though; it’s in invaluable tool that I took far too long to learn about. Since Matias’s script is compiled, though, I am unable to determine how they messed up something as simple as swapping two keys.